With over three decades of industry experience and some highly opinionated commentary, it’s no wonder current affairs commentator and talk show presenter Steve Price has become an Australian household name. Covering all the major news stories since the 70’s, it’s safe to say no one knows current affairs like Steve. Steve is best known for presenting the No.1 rating drive program on Melbourne’s 3AW, between 1987 and 2002. Following this, Steve also presented the morning program on Sydney’s 2UE from 2002-2009. For Steve, radio is more than entertainment and information. “Radio is about letting people talk about the issues and events that shape our day to day lives. I don’t believe it’s about telling people what to think, but asking people to think, question and debate the controversial things that occur daily in their city, state and country” he says. Unsurprisingly, Steve has also received multiple awards for Program Director of the Year, as well as Australia’s current affairs Commentator & Talk Presenter of the Year on numerous occasions. 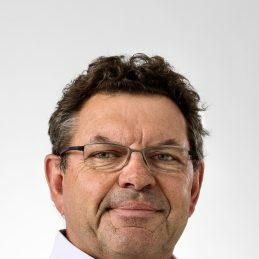 Following a successful career with 3AW and 2UE, Steve took up the role of presenter on talkback radio station, Melbourne Talk Radio (3MTR) Breakfast, in 2010. Then, in April 2012, Steve joined the team at 2GB with a brand-new show, Nights with Steve Price. The popular weeknight show reviews the day’s news and current affairs, while also following the breaking news of the night. The show also features a nightly discussion with Australia’s most read opinion maker, Andrew Bolt, which dominates the night time listening audience. In 2015, Nights with Steve Price began broadcasting in Brisbane on 4BC, as well as into regional cities around Australia. Later that year, the show also began broadcasting on 3AW in Melbourne. As well as his radio broadcasting role, Steve appears as a weekly guest panelist every Monday and Wednesday evening on Network Ten’s primetime news show, The Project. In addition to this, Steve also recently appeared in another of Network Ten’s primetime shows, I’m A Celebrity, Get Me Out of Here! According to Steve, surviving on a restricted diet and taking part in emotionally and physically strenuous challenges has left quite an impact. Post-jungle, Steve has a come out with a new-found appreciation for life, entering the competition as a ‘grumpy old bugger’ and leaving a happier, healthier and totally changed man. On top of his nightly radio show and appearances on The Project, Steve is also a highly sought-after MC and Keynote speaker, with his vast knowledge of current affairs, politics, sport, finance and news making him both versatile and insightful.